1) Safety was the #5 thread that was reviewed and posted in. I was honestly surprised it was that high. 3.2% of the posts with 42 out of 1228. 2) Safety was the #2 thread that was reviewed and not posted in. I am however not surprised with this one. 1.06% of the posts with 42 out of 3944 overall. 1) Out of the 57 people on various Safety Committee's about 5% actually meet and have actual safety related discussions and topics. The vast majority of people have their name on the "committee list" and never attend the meetings. 2) Most of the individuals that have safety leadership roles have never received "formal education" related to their safety duties. They were put in the roles as a collateral duty and never received anything after that. Do you think there is a direct correlation between formal Safety Education Training and the success of a Safety Culture? Would additional "Professional Training be beneficial to the Safety Officer" to get them on a peer level as best as possible? Since the majority of the safety work is generally done by a very small percentage is it better to have a committee of 2-3 that is active and engaged or 10 that respond when needed? are watching out for your safety, or it just becomes background noise / check box that people tolerate and otherwise ignore. Reference Mike Rowe's "Safety Third" concept. IMHO what cultivates a "safety culture" is an expectation of excellence and doing things "the right way because it's the right way"
primarily through proper job performance. more presentations on slips, trips and fall, winter driving and texting, no. is something sorely lacking in not only CAP, but corporate Safety Departments as well. it ultimately defeats its own purpose. it's not a perceived need, it's a compliance issue. To me, the best "Safety Officers" are Commanders who stress "compliance as a given", but "proper performance" as the focus. and for those who don't, it won't matter anyway. our Safety Stand Down Day last week. 1. Safety is largely a product of retention, not regulation. Keep good people around longer and they tend to not repeat the dumb decisions of themselves and others around them, increasing overall safety. 2. The corollary to #1 is "stuff happens, learn from it". Good leaders use our mishap processes as a mechanism to help us learn from our mistakes. Good people take these lessons and remember them. 3. It doesn't matter whose fault it is if you're dead (I use this one a lot when talking motorcycle safety, and is what safety third really boils down to, at least in that context). Pay attention, anticipate mistakes, and don't be dumb. Since these three principles are really hard to quantify, we use a checkbox safety culture to give people warm fuzzies instead. +1 Really important - experience builds and increases safety. "Safety is a product of retention." Should be on a t-shirt. Maybe. But, probably not on all counts, nor in all situations. Experience = habits. Habits can normalize poor (unsafe) practices. IMHO, 'experience' can be a history of avoiding bad consequences because of luck, or rationalizing away bad outcomes as 'unavoidable'. More than once I've seen 'old hands' minimize risk, ignore hazards, and rationalize away events that had definite potential for bad outcomes. There's also the problem we all suffer from, which is that experience alone may teach us a false lesson, and blind us to reality. For example, several years ago the IC, Ops Chief, Plans Chief, and Fire Behavior Analyst of a very experienced wildland fire management team were working a large wildfire located south of Portland, OR on the west slope of the Cascade Mountains. Key members of the team had 15 to 25 years of experience, some even more. Unfortunately, their experience led them astray. They collectively ignored warnings offered by a new fire analyst that the biggest risk of a blowout event would come from the EAST, rather than from the west. Remember, predominant winds in the Pacific Northwest are SW. These 'old hands were accustomed to the 'normal' south westerly wind patterns. They assumed that rising terrain to the east, plus the predominant winds would be the dominating factors in fire growth. They were unaware of, or perhaps discounted the value of exceptions (outliers) to the 'normal winds' found in long term climatological data. Those data said every few decades a REALLY BIG fire in that area resulted from a powerful foehn wind event that blasted hot, dry, downslope winds out of the east. About a week or so after the original 'very experienced' team left town the fire blew up. Propelled by very strong winds it jumped the fire line, roared miles to the west, and threatened towns and homes in the Willamette Valley. Fire fighting resources were ill prepared for the wind event. Firelines on the west side of the fire were inadequate, and the relief team was never advised of the possibility of a foehn wind event. CAP has its own issues with experience lead that lead us to value our experience over reality. I'd suggest emblazoning a T-Shirt with a slightly different message: "Experience + open mind = Best Outcomes"
I don't necessarily disagree with you on the broad strokes, but what you're characterizing is "complacency", not "experience". churn, CAP has far too much of the former, and far too little of the latter. but not as much others, because of my experience. 1000 times doing it before gives me the muscle memory to do that. I don't know if Safety Education really has a huge impact on safety culture. It's really state of mind that the organization needs buy into. A lot of it has to do with attitude and professionalism. Really the issue I see is the old hats with a lot of experience know what they know and tend to exhibit a "too cool for school attitude." I have seen this both as a RAPO and as a squadron SE senior member. If a new pilot gets mentored by a guy who has his specific way of doing things but its not by the book, then it creates a downward spiral. I can stand in front of the squadron, talk about mishap stats, causal factors, human factors and breaking the "Safety Chain." Really it all boils down to attitude. I can tell some the old hats are not even paying attention. I even try to do more of a discussion based approach. I know for a fact that if I just drone on about these things it goes in one ear and out the other. Take ground mishaps, like smacking into a hangar door. You can make all the crews watch that video, have a discussion with your IP on a form 5 and still it happens. Whenever they happen it seems like its always a high hour pilot. Ground buffoonery is one of those what the Air Force considers a 100% preventable mishap. I have to agree with this concept. My opinion is if you smack a plane on the ground, you should not be flying planes. If people saw the experienced dudes getting their quals pulled for a long time then that might send a message. I managed to pull a plane of the hangar with a tug as a cadet 20 years ago without any issues when I got my SEL add on. I don't see why these occur other than violating 91.13 of the FARs "Careless or Reckless Operation of an Aircraft." Even though it's not flying and it is being pushed in. Not checking the wing clearance is careless. Leaving the aircraft unchocked and untied for a few moments is careless. Forgetting to check the tow bar is no longer in the nose strut and not stowed is a poor checklist discipline If someone is being careless on the ground, what poor pilot behavior are they exhibiting in the air? The Air Force you get in some serious trouble and a black mark on your Form 942 and a Command Directed Q3 on a form 8 for any ground mishap. I think the idea of a "Safety Culture" sometimes runs against the idea of a "Mission Culture". I don't want to sound harsh. I know that it is your job...and you honestly want to do it to the best of your ability. But in my time on Active Duty, to my time as a government contractor and in CAP......"Safety" is more of a joke then anything else. More formal education for shop safety reps.....just means more time away from the actual job that he/she is being paid to do. Beyond basic on-the-job safety training "don't stick your hand there when the machine is running" is all that we really need. We need SAFETY to do their job of collecting the complaints and reports and making sure they are getting acted on. We need SAFETY to be on the work site and smacking down the guys who just wont listen. But we don't need to sit through another lecture about how ORM will make us safer. Or how by better collection and analysis of safety mishap data can be correlated to identifies possible approaches to mitigate the potential impact of any future mishaps. Safety reps don't go to committee meetings....because from my point of view they are a waste of time. Any info from the SAFETY office that needs to get to the work center reps is better transmitted by E-mail. Any issue that the REPs have on the work site should be forwarded up tot he SAFETY office as soon as they are encountered....not collected for the monthly committee meeting. If there really is an issue that affects all the workcenters and you need input from all the reps.....then you call a meeting. Any you have to call a meeting of the workcenter supervisors....because the Safety Rep usually does not have any authority. No....because the committee members are NOT "SAFETY OFFICERS" they are usually junior line supervisors who got stuck with the job because they are senior enough to understand what it is about....but not too senior to have "real" work to do. This has always been my peeve with the SAFETY Office. They are professional safety guys and they think that everyone on the committee is part of "the team". But in reality the Safety Reps are already part of a team and pulling them away for "Professional training" is just not going to help. Safety boils down to seveal cases. 1. Someone gets hurt or killed over something that none knew about. (defect, new process, ect). 2. Someone gets hurt or killed by doing something they SHOULD HAVE known but were never told about. 3. Someone gets hurt or killed by doing something they DID know about, but chose for one reason or another to do it anyway. 4. The Twin Gods Whim and Spite just have it out for you and you do everything right and you still get hurt or killed. The SAFETY office needs to be on the look out for one and two. They need to make sure that the line supervisors are telling their troops/employees about the hazards of the job and giving proper training. The SAFETY OFFICE need to be on the look out for new process and equipment in the work place and stick their noses in and find out what new hazard the boffins over in High Energy Physics just gave to the janitorial crew. Three and Four....there is just nothing you can do about those. When the Gods decide it is your turn....it's your turn. And if I ever have to sit through a safety briefing again because some Airman (Strike 1) jumps on his motor cycle (Strike 2) at 2 A.M (Strike 3) to pick up more beer because he and his buds have killed off the keg (Strike 4) with out wearing his helmet (Strike 5) drives at excessive speed (Strike 6) and runs a red light (Strike 7) and his killed by a crossing automobile.......and for SAFETY to suggest that said Airman's leadership was not engaged enough......I think will kind of scream. It is that sort of stuff that makes us (former) safety reps all hot and bothered. No....the safety work is done by the line supervisors who train their people on the hazards of the job, monitor their compliance and retrain as necessary. Each work center needs to have a Rep to be the point of contact for the line employees to report issues. I have no idea what the safety committee has ever accomplished except waste time. If the Safety Office has information....send it via E-mail. If the Safety Rep has an issue....he needs to call the Safety Office. Sorry for the rant. Safety has always been one of my pet peeves. There's no such as thing as a "Safety Culture" without "Safety Education". So, "formal Safety Education" must be used to provide "actual Safety Education". Most "Professional Training" provided in CAP is a waste of time, a matter of compliance, certificates, just that. However, good "Professional Training" (that we have in some few cases) is always necessary. It is the only way to help Safety Officers to understand that "formal Safety Education" must be "actual Safety Education", how they are responsible of ensuring that and how they can do that! Personally, I try to make safety classes fun, while passing some sound safety info, because I think fun is more effective. Cadets and senior members never know if my next safety class will be a power point, a quiz game, a group competition (with some "valuable" prizes), a movie session, etc. After 2 years as a Safety Officer at my squadron, I can say that if people don't look forward to having their next in-person safety class, at least, the have some good expectancy on what they're going to get next. 2 or 3? 10? If I understood the question, I'd say that every officer, every senior member in any unit (2, 3, 10, 20, no matter how many) are a key part of the unit Safety Program (if the unit actually has a Safety Program). Every senior in CAP has probably done something like driving fellow members and cadets, coordinating a snow shoveling before the meeting, being a referee when cadets are playing soccer or any other game, taking a group of cadets for a movie session or a fun activity, not to mention fund raising, bivouacs, ES outdoors training, visit to planetarium or any other AE external activity, etc. While the Safety Officer is expected to provide effective Operational Safety Briefings before each and every regular activity at the squadron, the other officers, the other senior members, are responsible for providing effective Operational Safety Briefings before each and every activity, like the ones I mentioned. Providing effective Operational Safety Briefing in CAP requires more than just common sense: it requires performing ORM at time-critical level, even mentally; or at deliberate level, using one of the worksheets available in capmembers.com. Knowing and performing ORM is the most important safety work in CAP and every member must be trained to do so. I'd expand on your very good list a bit. Some systems are complex, and the more complex they are the more they are opaque. My anecdote five or six comments above falls into this category. The Fire Management Team (FMT) was NOT suffering from complacency, they were just operating at a very competent level within the concept space bounded by their experience. In the aggregate they'd personal experience with well over 1000 major wildland fires. They just hadn't dealt with this particular terrain/weather/fuel tpe event either as team members or as individuals. The FMT was from the Northeast, and though they had all fought wildfires in the PNW previously they'd not seen this phenomena. Perhaps it was also outside of the training they'd received, or even the 2nd and 3rd hand anecdotal experience they'd accumulated over beers or in fire camps. FWIW, the 'new Fire Behavior Analyst was not in the 'regular' FMT cadre, and was running a very powerful, but new to everyone in wildland fire (but him) model. The model was not understood by the FMT FBA, nor by the IC or any of the FMT section chiefs... They distrusted the counter-intuitive (to them) output. So... see above for the sad outcome. 5. Bad things happen when we rely upon our own life experiences, or that of our peers to predict outcomes in the physical world (or elsewhere). I.e. outlier events aren't easy to anticipate. I suppose a 7th rule might be... don't confuse our own muscle memory with deep learning when it comes to compensating for system failures. Our muscle memory may kill us because the learned/practice response may be counterproductive. Think pulling back in a stall, rather than unloading the wing. Yes, we've GOT that inappropriate response trained away. What other inappropriate muscle memory responses tp 'new-to-us' situations might we have? So something else that struck me in regards to this conversation. Which is going to be more productive training? A video or session on what TO do in a given situation. Or a video or session on what NOT to do? I'd vote for the former, and hazard that most "safety" training is the latter. IMHO, "formal" safety education can be one of those personal investments that keeps our eyes open while building our individual tool set. Some of the discussion in this thread illustrates this point. FWIW, it's my observation that most really useful and transformative ideas come from looking beyond my experience into other disciplines, as well as into data sets that might not be widely known. On the other hand, if "formal" education is conducted poorly (for example CAP's "intro to safety" or much of the other corporate safety "training") the overall benefit is nil beyond checking a bureaucratic box. Discussing past disasters can be unproductive, and it can also lead to 'ahah!' moments, depending upon how the material is used. If it's just another "don't do this!" session read in a monotone from a smart phone screen the time invested by victims (participants) and perpetrators (instructors) is wasted. Value added has to be the first consideration in any safety conversation. Sadly, 'check-the-box' is more likely to be the first, second, and only priority. Like it or not, the world is a complex place. While most (but not all) accidents, mishaps, whatever seem to be perpetual re-runs it's increasingly evident that the highly connectedness of our technology creates an environment that is rich with unforeseen hazard. Most have small risk of occurring, but should the stars align we can expect bad outcomes. We still see repeated examples of human error committed by highly experienced, well trained, very competent people. Some errors are rooted in hubris (I can fly when I'm congested and about to upchuck), others in fatigue (I stayed up last night with my sick cat/dog/kid) but this job has to be out the door by noon... and so on. If having a vibrant safety culture means there is strong peer pressure, supported by real (not a façade) leadership support, then what factors would obstruct and which would facilitate fostering these necessary personal, cultural, organizational characteristics? If having a vibrant safety culture means there is strong peer pressure, supported by real (not a façade) leadership support, then what factors would obstruct and which would facilitate fostering these necessary personal, cultural, organizational characteristics? The biggest obstruction is time and manpower. CAP doesn't have enough of either. "OMG! The weather is going to break for 45 minutes on Saturday, we need to FLY! FLY! FLY!" "Bummer. I haven't been in an airplane since before Halloween, and 2 of my quals went dark." "Well, we have 3 days, what do you need done?" "New Medical, Form 5, and I really should burn some dinos on my own to shake out the cobwebs." We need to FLY! FLY ! FLY!" pilots practice literally every day, either through training or actually doing the job. does looks last-minute / bare bones, because it is. "You'll figure it out, it's no big deal." need to see my kids at least once a quarter." There's very little time for "excellence". anything resembling a "safety culture". My current list of hats sets at CDC, AEO, RRO, and assistant Safety. I may have forgotten some. Assistant Safety as ours experienced a lot of a lot all at once, so we were not going to stress him out by piling CAP on top. On topic, I've also found that when you have multiple hats (and Safety is rarely a dedicated, THISJOBONLY position)- you can only perform two at a time to any degree of competence and success. Personally, I do but I don't believe in the same content as most do. As my title notes I believe that the "training for training sake" diminishes the overall effectiveness of the intent of the program. This however depends on the reasoning behind the training. I am required by OSHA to conduct training on OSHA safety topics for my 2000 employees. It is a regulatory requirement to keep within the laws. However that is it. That to me has little to do with the actual "Safety Culture". For me the cultural aspect is smaller and more individualized and personal and does not require formalization but more interaction. I do believe and practice individual safety culture cultivation with each employee. I watched the video and agree there is a point of diminishing return. When I initially started my BS in Safety I had a different opinion. One of the Professors asked me a similar question about Safety being #1 and 0 injuries and I thought that was a great answer and that is how it should be. He quickly corrected that thought process and described the intent of Safety as a Goal but not an absolute. It took me a long time to realize what he meant. I also agree on the presentation portion of your response. I had a couple of instructors that put you in a coma talking safety. I however am much more lively when I put people to sleep. Agreed on the power of the presenter in making a difference. I have been very fortunate that in all levels I have participated in I have had great support from the Safety side. I agree that in many ways we are limited in the number of safety officers we have. I would like to see that change and increase myself and would like to know how we could draw more into the field. If you make it I will buy it! "Is it Common Sense to Believe in Common Sense when it does not make Common Sense Safely Speaking". Personally I can understand that one of the last individuals that anyone wants to see is the safety person walk into a work area. I get that feeling when I walk into the production area at my facility or on a construction project at one of my facilities. However that to me depends on how the safety person interacts with the folks that are in the area. If they are in the area as an "inspector or police like" individual trying to catch someone doing something wrong then I could understand that sentiment. However if they are they for the mutual benefit for the people and their approach is that way then it is much more helpful. This is where the individual has to either be the Safety Manager or Safety Leader and there is a difference. I don't believe you can communicate the real message in an email but person to person, but the general intent in an email. I have and keep an open door policy with all the employees. I have a personal policy of "One Success at a Time". Not everyone needs to be a safety expert "otherwise I wouldn't have a job". I like that way of thinking and we need to continue to build up both. I appreciate all of the responses. It helps me validate and give additional thought to my Safety Culture Lecture Series. So, how do we motivate people to (a) accept and then recognize a 'hazard' might exist; and (b) accept and therefore behave in a way that the hazard poses a risk of an accident? Two days ago I visited a well stuffed antique shop here in town in search of a very specific item. I didn't find what I was looking for, but did notice and old (by VERY functional) fire ax... you know, very sharp edge on one end of the head, and a very sharp pointed stinger on the other, with a 36" hickory handle painted dark red in between. This very lethal and very functional tool was leaning against a doorway with the blade oriented about 30 degrees into the walkway. My well tuned safety antennae quivered when I spotted this accident waiting to happen. When I mentioned it to the shop owner he dismissed the idea that a hazard existed, or that the risk was well into the likely column of the matrix. "That ax has been there for months, and no one has caught their foot on it yet..." After another 20 minutes of browsing I again mentioned the ax as I got ready to leave. I suggested he might at least put a scabbard on it, or tape a guard over the exposed (and very sharp) blade. He basically repeated what he'd said previously. My take? Ya can't solve even obvious hazards without general acceptance that they exist. About a month ago I ride with a driver for a professional service that moves railroad crews around. One of the drop dead gotta do things with that company is either have a ground guide when backing a vehicle, or the driver gets out and does a 360 degree walk around. This driver (a member of the company safety committee) did neither, but he did admonish his passengers (drivers in training) that the company was serious about safety. Yeah, maybe. Take home? Lack of buy in sabotages even reasonable safety efforts. That does not mean that I am always safe nor incident free. I am human. Last Friday, I had to move an engine underneath a pickup on a hoist. Prior to moving the engine past the pickup, I looked all around, and didn't see anything in the road that I was going to smack. I went and grabbed the engine with the pallet jack, and pulled it towards the exit of the bay. Next thing I know, there is a huge pain behind my left ear, and my head slams forward right onto the handle of the pallet jack just above my right eye. I had completely missed seeing the receiver hitch on the back of the truck, and backed into it. Other than a nasty headache and a couple of bumps, there was no serious injury. The takeaway from this, as I see it, is: that even those of us that take safety into consideration for everything we do, we can and will make mistakes, and that we need to keep safety in perspective of what we are doing. This includes owning up to when we have mishaps. I believe this is one of the hardest questions and points to address in any safety situation or culture. You cannot use a blanket approach to a safety problem when you are dealing with an individual. Each person has their own personality, characteristics, and background. Trying to get everyone to understand the same material or situation in the same method simply does not work. I am not referring to individual methods such as visual, tactile, or auditory, but more of relational, situational, or correlation. I try to tell folks the same thing. I have a couple of examples myself. I had just finished contractor training for about 30 new contractors for a large project at work. Telling them about wearing proper PPE on the site. When I went to the site later that day I forgot to put my safety glasses on when I entered the site. One of the people I had just trained pointed it out to me. Several years ago I was heading back to my plant after lunch and saw a guy on top of a billboard without a harness about 30 feet in the air. I started to take a picture with my cell phone while driving. One of my coworkers looked at me and asked me what the heck I was doing, he took the picture for me. Just because you are a Safety Officer doesn't mean you are perfect and that is something that people must understand as well. Here's a good example of complacency or "assumption blindness" or something. I went back and forth in the basement, garage, and office a dozen times looking for that bag. the one side to light up a bit when I opened the rear door. it's literally at my eye level. Logically, why would I ever put my headset bag on top of my drill press? A good example of something hiding in plain site which could just as well be a hazard I'd had decided wasn't there. about where "it must be" and actively scanning the whole garage), I probably would have found it quickly. and what their approach would be to mitigate risk - there are no "right" answers, only options. avenues for mitigation or remediation. It might be interesting to put together something like that for safety briefings. My main facility is 374,000 square feet with many different ways in and out. The facility was built in different stages and this has been very beneficial as far as passageways is concerned. To try and keep myself from getting complacent about each area i go in a defferent door to each part when I do my "management by walking around tours" it helps me get a different perspective and look at the area when i go in. i have only been with this company for 6 months and have been able to establish some great working relationships with my staff and the hourly employees. One of my personal approaches is "One Committment at a Time". The better i follow up on the smaller stuff with the hourly employees and Union Rep's the higher the chance they come to me with a real need. The approach has worked very well for me. My first full year with my former employer in 2012 our TIR went from 5.86 in 2011 to a 1.2 for 2012. Many things went into making that happen but the best part was our "safety interactions" increased 10 fold. The examples would be great as you noted. Sounds like a great National Safety Officer College project. I tend to agree with those that said that safety is primarily about learning to do "things" the "right" way. I'm not sure that formal generic "safety" education is really necessary or does all that much for the average person. Those with specific safety responsibilities should have more formal training in this area so as to provide effective oversight. The problem CAP has and which probably isn't that different from that faced by most employers is that there are a very small, specific set of actions that we have a high degree of responsibility for ensuring that the persons engaging in them perform the "right" way, however this is just a subset of all the actions performed. For example, in my real world work most people have college degrees in the field, but are often expected to engage in some manual labor type tasks. So, a lot of the workplace injuries have nothing to do with what the person actually has formal training in. In this case injuries often involve things like basic woodworking or use of other small power tools. I have some responsibility in this area and am struggling to balance out when we need to provide formal training for some of these things and when we shouldn't. The equivalent in CAP may be something like the task of driving a CAP vehicle. We don't provide drivers training and don't evaluate people's abilities to drive other than making sure that they have a license. This is an area where there is a decent probability of a significant accident that could involve loss of life. Should we evaluate the abilities of drivers like we do pilots before letting them drive our vehicles? Provide specific supplemental training (perhaps a defensive driving course)? Or just depend on random inclusion of driving-related topic in local safety talks of unknown accuracy or usefulness? I will say that when CAP decided to do away with the monthly safety requirement I was initially against it. I guess it was because I am use to having to do it at work every month as a basic expectation for myself and other employees. I did however change over time when it came to the focus for CAP. I have not seen a drop in the focus itself within my Wing or Region in which I have been involved. Honestly I think that when the subject of safety comes up people may actually listen more because it is not an “automatic subject”. The ORM’s and briefings are still great and the discussions are still there. I am glad you pointed it out that volunteers have other parts of the work to do and that safety is important in that aspect but may not be a familiar part of that specific situation. That is something that could be done better. From my perspective it is a challenge for me in CAP. Though I have a BS in Safety and an MS in Emergency Management I am not a pilot, when I try to have those “safety conversations” in general and they ask if I am a pilot and I say no there has been an automatic assumption that I won’t understand what they are talking about. That doesn’t always happen, but it does occasionally, in the private sector as well after giving some of my lectures. If you’re not an engineer you won’t understand. If you’re not a commercial driver you won’t understand. If you’re not an electrician you won’t understand. I am a member of several other S&R related groups and have not faced that scrutiny as of yet. I am glad you pointed it out that volunteers have other parts of the work to do and that safety is important in that aspect but may not be a familiar part of that specific situation. That is something that could be done better. From my perspective it is a challenge for me in CAP. Though I have a BS in Safety and an MS in Emergency Management I am not a pilot, when I try to have those “safety conversations” in general and they ask if I am a pilot and I say no there has been an automatic assumption that I won’t understand what they are talking about. There's a couple ways this could be happening. The first is on you. I'm not a pilot, but I do have a responsibility to ensure the safe conduct of operations, both air and ground. Tone is important when you discuss safety issues with groups where you may not have as deep of a background as them (i.e. pilots, of which I am not one). I prefer to ask questions to elicit a verbal conversation on the flight safety, which both acknowledges their experience and requires them to think about the safety issues since we're talking about them. So, tone is important. I only bring this up because I've seen safety people, commanders, and a whole bunch of other people be on varying parts of the "correct tone spectrum", so I don't want to make any assumptions. The second is on them. If your tone is right and they literally don't want to have a conversation on the safety of an operation, then that's on them. A pilot like that would probably not remain a CAP pilot for very long in my AOR, but YMMV. "You're not a pilot so you don't understand" wouldn't fly for very long around here. "You're right, I'm not a pilot, and maybe I don't understand. Help me understand so I can keep you safe." I agree with you on both approaches. I am a very inquisitive person and like to ask a lot of questions to try and formulate the best response or answer. There are a few ways I think about my response when I talk to folks about safety issues. 1) Make sure not to come across as pompous or arrogant. 2) Make sure they know I value their opinion and respect their expertise. 3) Maintain a professional demeanor no matter their tone or approach. 4) I am interested in facts and subjective opinions create problems. As noted I have had similar conversations with other professionals in different fields. Strangely enough often the most difficult ones to deal with have been fellow safety professionals I have audited. I have felt similar feelings when I was audited myself because you often feel "attacked" and "defensive" about your responses. I was recently asked to clarify a comment on the video published by Mike Rowe by one of the plant employees about the Safety 3rd Approach and mentality. To be honest I had to think about it for a while and told the young lady I would get back to her. I didn’t want to give her a quick answer and set the wrong tone for other plant personnel. I have 2000 people to consider and a safety culture to be concerned with, so a quick response is not the best approach. I figured I would add my response to CAPTalk because I had made some comments on here as well. The bottom line is that the intent behind any safety program is and always should be the safety of the people that are involved. Hands down that is the most important element of any and all safety programs. Each business and even safety manager may have a different approach in the way in which they approach this. But I do believe that both still understand the number one priority is human life. My individual belief is that Safety has three parts and no matter if I am involved in CAP, work, or other activities I still look at it in the same manner. People – People are number one. The life of an individual has the highest priority over business, money, and virtually anything else you can think of. Process – The process in which we make or operate safely should be as easy and direct as possible and still get the job done. Environment – This is harder to define but one of the more difficult ones to narrow down. This is where the rubber meets the road. The edge of the knife and any other metaphor you can think of. This is where the true work is done. This for me is why I say Safety is 3rd. Without the first two you do not have the 3rd. You cannot have a priority unless you have Goal (people) and Method (process to get there). Safety is 3rd to me because People are the number one priority to me, getting them to understand why they need to be safe is number two. When I teach Safety Culture classes I start many of them off by stating the point that Safety is not the number one priority and see how it goes from there. Many times I get laughed at and then have to explain myself, other times people will wait and see. It is always an interesting conversation. Eclipse's comment way back on 19 Feb 2017 was on point: It's necessary to engage the brain! The March 2017 issue446 of the ASRS Callback - https://asrs.arc.nasa.gov/publications/callback/cb_446.html - is on point for this one. No amount of safety education, good safety habits, etc. will help if the brain is disengaged! Eclipse's image of the hat on the drill press captures the source of a whole lot of error (and potential mishaps). How does a "safety culture" overcome the empty stares we substitute for seeing among complacent pilots, complacent drivers, etc. etc. etc.? To your first sentence there; CAP has not done away with the requirement for a monthly safety brief for all hands. What was discontinued was the prohibition on participation for members who had not logged a meeting in the system. We're still required to hold and document (in eservices) the monthly brief. I suspect, from the context (i.e. your last sentence above) this is what you meant to say, but I thought I'd inquire if that's so since we have so many readers who might take that out of context and believe that we've discontinued safety briefs (stranger things have happened)! Essentially what I am saying is engagement and interaction. Culture does not necessarily mean as a group but more an individual situation or occurrence in which people are interacting. Yes that is what I meant! Thanks for clarification on my behalf. Can you clarify how "engagement and interaction" can eliminate 'looking but not seeing' or engaging the human 'auto pilot' so we raise the flaps instead of the wheels (see the Boeing 767-300 co-pilot account in ASRS issue 446, above)? From my understanding of human attention that's a very tough nut to crack. Yet, it IS a behavior that falls within the great umbrella of a 'safety culture'. The Aviation Instructor's HB (FAA-H-8083-9A) defines the problem "... as overconfidence from repeated experience on a specific activity, complacency has been implicated as a contributing factor in numerous aviation accidents and incidents. Like fatigue, complacency reduces the pilot’s effectiveness in the flight deck. However, complacency is harder to recognize than fatigue, since everything is perceived to be progressing smoothly...” and 'safely'. Most of us (I hope) can recognize when we're seriously fatigued. No so easy or obvious when we're complacent (and distracted). I am not saying that it only takes "engagement and interaction" to eliminate all hazards or correct behaviors. What I am saying is the engagement and interaction portion of a "safety culture" is the most important part of the work because this is where the real work is done. You have to have the people and a process in order to work towards a safe environment. Working towards that safe environment is paramount. I wish there was a simple way of getting anyone or everyone to get beyond the "looking but not seeing" or the "auto pilot" we all suffer from. I believe it would be like curing the common cold. The strength and importance behind the "culture" is going to be defined in an instant given the first interaction and any interactions thereafter. For example: You have a new employee that just finished new employee orientation with his new company as a production operator in a car manufacturing facility that makes the front quarter panels for the hottest new truck on the market. They cant make the truck fast enough and working around the clock. The employee has been through machine operator training and safety training with the plant safety trainer and safety manager. He has also gone through safety Lockout / Tagout training and understand he is not supposed to break the line of the guard without a lockout. His first day on the production machine his supervisor comes out to him and pairs him with another employee. After a few hours the employee and the new hire are behind the rest of the group. The trainer shows him how to bypass one of the safe guards to make the machine go faster and produce faster. The supervisor sees this and allows it to happen. The supervisor, the trainer, and that new employee have all just negated the intent of the training and any future safety considerations are going to be "questionable" and "optional" as long as they don't get caught because the supervisor make it ok.
To address how I would approach complacency, looking but not seeing, or auto pilot I believe it would depend on the situation. I can give a few examples of how I did things as an operator and how I do things as a manager now. As a machine operator I would look at my machine and listen to how it was running. I would look at each section of the machine piece by piece and listen to the interactions between the motors, belts, pulleys, and the like so as to hear the "normal" sounds. If it didn't sound normal then I would investigate the sound. I initially used the technical manuals to understand the layout so I could find out if the pieces that were their were supposed to be their. After a while I knew what belonged and what didn't. When I would go into work and relieve the previous shift if they had left a tool on or in the machine I should notice it out of place when I did my daily walk around. It worked for me overall. Not all the time but most of the time. In my current role as a Safety Manager I have to do safety audits in a facility that covers 400,000 square feet and 2000 people with lots of doors and pathways. I try never to enter the same door twice in the same week so that I can get a different perspective when I do my inspections. I do inspections and walk around daily. Changing my approach helps me a lot because I may miss something coming in one door all the time that I may notice coming in the door on the opposite side. I also do something that none of my predecessors did, I take an hourly employee with me at least once a week to do an inspection with me. They see things as well and point them out to me so we can get them taken care of. I may be focusing on exits being blocked and they may be looking at potential trip hazards. Ok I just spit coffee on my screen with that one.....I needed that!! That is pretty dang funny and had to be intentional! Our Director of Safety always brings up a great philosophy: You put 5 people into a meeting, and there are 7 different opinions. Everyone walks in with either an opinion or no opinion. As the discussion progresses, some people change their opinion; some people become more confused, probably angry. Happens quite a bit. I have fellow managers that will agree with me during one discussion and then when we approach it again have a different opinion. But it generally works out in the end. The next one is coming soon. Who brings the extra two opinions? A major point with any safety program, though, is that communication is key and dissension is welcome. It doesn't mean that person will leave getting their way, and there comes a point when they need to realize they're outnumbered, but you don't want a safety culture where the head of your safety program makes all of the decisions for everyone. You need to have those other opinions so you don't get narrow-minded and locked in to your own ideas. 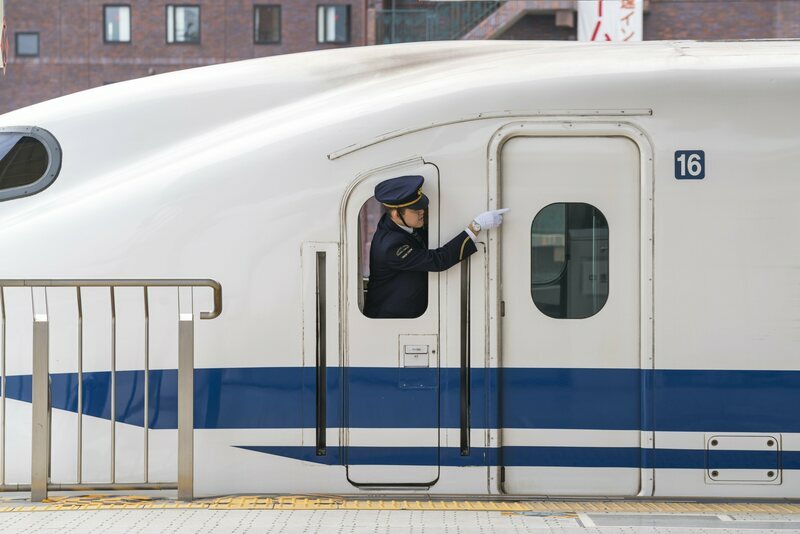 An interesting article about the Safety culture in Japan on their rail system. "Known in Japanese as shisa kanko, pointing-and-calling works on the principle of associating one’s tasks with physical movements and vocalizations to prevent errors by “raising the consciousness levels of workers”—according to the National Institute of Occupational Safety and Health, Japan. Rather than rely on a worker’s eyes or habit alone, each step in a given task is reinforced physically and audibly to ensure the step is both complete and accurate." This requires at least some modicum of positive attention to complete, moving the act from "habit" to " action". This was an excellent article even for as short as it was. I personally would like to learn more about it. It is a shame that something like this could not be accepted more within the US. If it has the potential to reduce incidents that much according to the article then feeling "silly" should be something easy to get over. To me you are taking individual ownership in every part of the task. Pointing and Calling works with the Japanese culture, doesn't translate very well to Western Cultures though. It doesn't even translate to other Asian cultures very well either. Watch the JMs on an airborne operation. Everything they do when the door is open is essentially "pointing and calling." In my other job, we use visual cues backing up an audible cadence/checklist. Put your finger on, or point to everything, as you are doing it when you call it out. I'll be standing in the boarding area with my student and I'll verbalize the inspection sequence as I put my hand on everything in the sequence. Is in a specific order (head to toe, front then back) and if I am interrupted/distracted, my hand is the last place I verbalized so I can resume without missing anything. Even after that is the mnemonic "SHAGG-R" (shoes, helmet, altimeter, goggles, gloves, radio). Go all the way thru gear inspection twice on the ground, once in the plane. Again, I touch and verbalize it all, partly for me, partly for my student to learn it. The procedures used by the JM's when the door is open were developed because of the high noise levels inside the aircraft. And parachute procedures are pretty much doing it by Rote memorization. Pretty good idea when you're in a very noisy, high stress environment and mistakes can be deadly. So Rote memorization and lots and lots of reps to make it second nature. Do I think it's easy to institute such a wholesale change? No, but I do think we could do it and ingrain it in safety culture with a few years if we tried. The real question is how would we go about doing that as Civil Air Patrol, and which of our operations would be best suited for it? The real question is how would we go about doing that as Civil Air Patrol, and which of our operations would be best suited for it? Flight operations seem the natural starting point, with aircraft movement by human power being the place to start. It might be a way to actually reduce hangar rash, or flying with the map pointer tow bar attached. When I was in the Navy, I learned to do pre-flights that way - read it out loud from the checklist, then point to it on the plane and do the item. The only time I had to point out stuff during a pre-flight was when I was getting a check ride from a lazy evaluator. The good ones could tell what you were doing by just watching what you were doing. Of course on stuff like the exterior and interior checks you talked your way through it by saying what you were looking for. For training purposes, students should always read the checklists out loud and execute their flows out loud. With any two-man+ crew, checklists should be read aloud. Flows can be done in silence, but still encouraged to be out loud---whether walking around the airplane or inside the cockpit. I get that most people don't do that out of habit and ease, but it's still good practice and keeps you fresh. Saying checklist items out loud is also a good way to get yourself to focus on an item and not stumble through the checklist because of the "read-glance-read-glance" process. Certainly, thats part of it (ie. "airborne hand-and-arm signals") for communication. But when the load toad turns the doors over to the JMs, there's a whole series of things the JM does to ensure that the aircraft is properly configured for safe exits: they literally point at the pip pin in the door to confirm its there and installed. After confirming the jump step is down, they check the entirety of the door perimeter for sharp edges or protrusions by pointing and following their hand around. It is definitely a "point-and-call" kind of thing. They're not doing it for communications, they're doing it to ensure that everything along the linear area (i.e the door frame) is looked at and nothing is missed. ...But when the load toad turns the doors over to the JMs, there's a whole series of things the JM does to ensure that the aircraft is properly configured for safe exits: they literally point at the pip pin in the door to confirm its there and installed. After confirming the jump step is down, they check the entirety of the door perimeter for sharp edges or protrusions by pointing and following their hand around. It is definitely a "point-and-call" kind of thing. They're not doing it for communications, they're doing it to ensure that everything along the linear area (i.e the door frame) is looked at and nothing is missed. It's interesting how often unintentionally (or otherwise) abbreviated checklists show up in mishap/accident/fatality reports. For example, some pilots have skipped through the "controls free and correct" checklist item with fatal consequences, confirming "fuel on both" detent by glancing (but not seeing) has resulted in more than one off airport landing, and flaps deployed/not deployed/not deployed as needed is failure with lotsa potential. I think there's a lot of evidence that speak-look-touch-do is an effective antidote for checklist errors of omission (and commission). Regardless, focusing on a checklist in a demonstrable way discourages passengers from interrupting... which in itself reduces errors caused by distraction and side trips. Having a second person in the cockpit is helpful too - at least it is usually helpful . Having a second person [...] is helpful too - at least it is usually helpful . like when person no. 2 unintentionally (or otherwise) unlatches the chute crotch strap.